You might expect to see NASCAR stars like Jeff Gordon racing across your television screen on channels like FOX Sports or ESPN, while you might not expect to see them on the Disney Channel. Nevertheless, that is precisely where Gordon is heading to in a rather unexpected role. 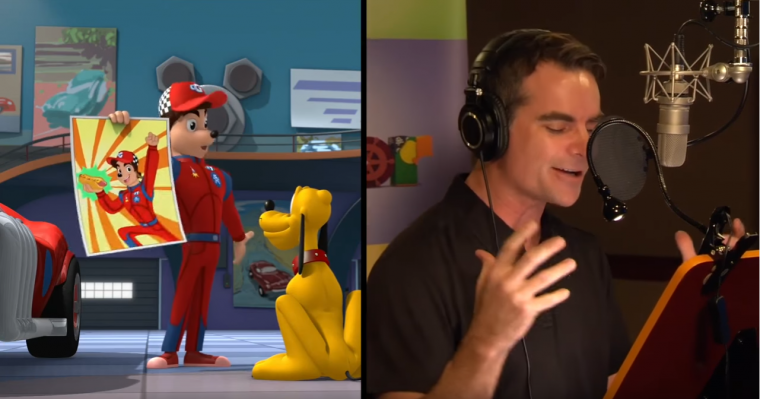 Jeff Gordon is set to voice a character on Disney’s new series Mickey and the Roadster Racers. 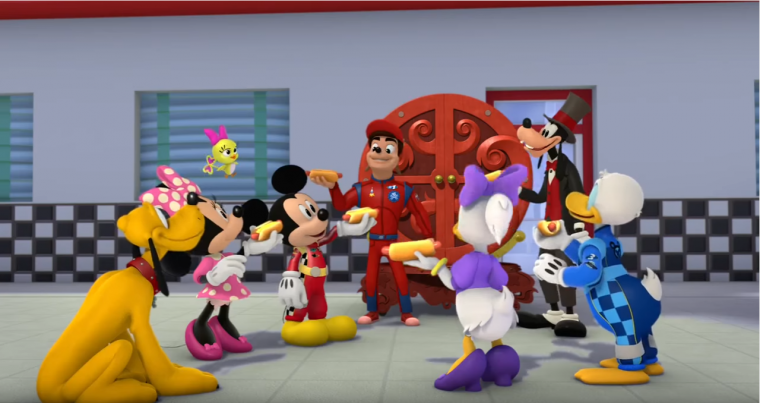 Mickey and the Roadster Racers, which premiered on the Disney Junior channel earlier this year, revolves around a series of wacky races across the globe that Mickey and his pals participate in. While racing across the finish line, the members of the Mickey Mouse Club also learn about the different countries in which the races take place. Seeing as the show is automotive-themed, Disney decided to reach out to celebrities with some experience on the racetrack. One of these celebrities was NASCAR star Jeff Gordon. Gordon is set to guest star in several episodes of the program as racer Gordon Gear. Gordon describes his character as a “handsome” racecar driver with a sleek roadster. Gordon agreed to guest star on the show because of the positive messages that it teaches younger audiences. This isn’t Gordon’s first time at the Disney rodeo, either. In fact, Gordon voiced a rodeo clown in the Disney series Penn Zero: Part-Time Hero. Before that, Gordon made a small cameo in the Disney/Pixar film Cars 2 as the anthropomorphic Chevrolet vehicle Jeff Gorvette. As far as star-studded appearances from NASCAR drivers on Mickey and the Roadster Racers, Gordon isn’t alone. Two of his fellow racers, Jimmie Johnson and Danica Patrick, are also set to appear as guest stars on the show. Johnson will voice racer “Jumping” Jiminy Johnson, while Patrick’s character is also a racer named Danni Sue. 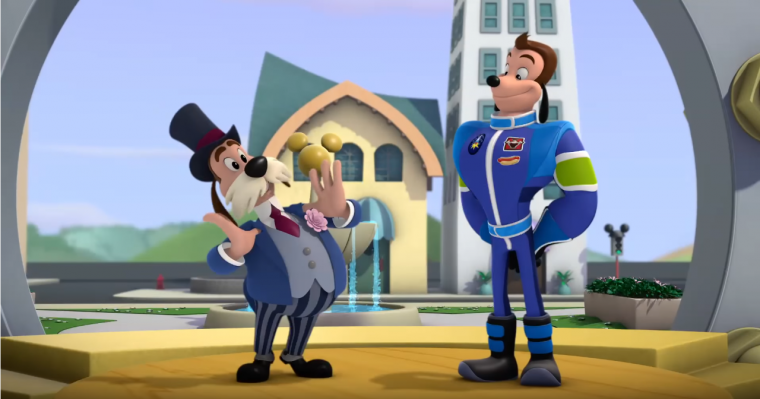 Other celebrity guest stars outside of the world of NASCAR slated to appear on Mickey and the Roadster Racers include automotive enthusiast Jay Leno and another Gordon: Chef Gordon Ramsay. Because who doesn’t want to see Ramsay yell at Goofy for messing up his Beef Wellington recipe? 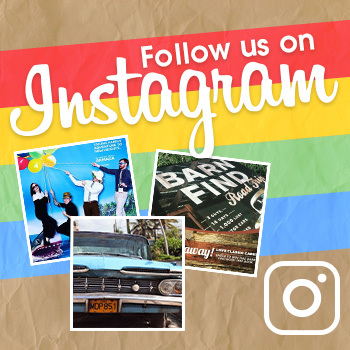 Photo: The Fox Broadcasting Co.